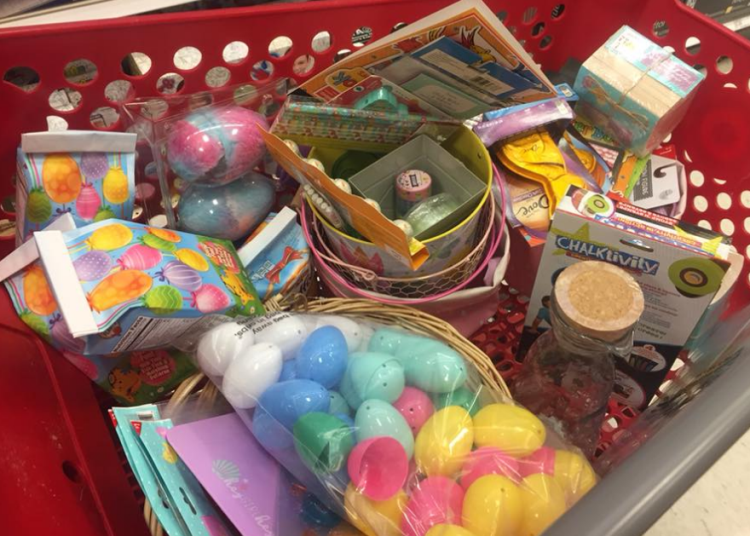 We have heard on our Facebook page that a some of the Target stores Easter clearance hit 90% off today while other stores stayed at 70% off. If your store is still at 70% off, there is a very good chance the 90% off markdown will happen tomorrow. I’m assuming that the stores that went 90% off today probably are the stores that went 70% off on Wednesday. Don’t forget to scan a couple of items, they don’t always get a chance to change the signs. Make sure you check out our other posts, Target Easter Clearance Deals for 2018 and Magnolia Hearth & Hand Target Easter Clearance to see tons of photos of items you will want to look for at your Target store. I have also heard that the Magnolia items at most stores are still ringing up at only 30% off. Bummer! 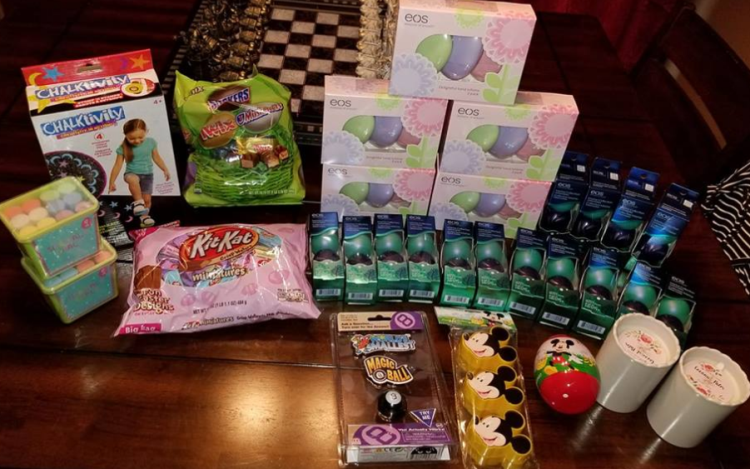 Nickie grabbed all of this for only $22.47! Everything was 90% off except the candy. Chrissy was thrilled with all of her Easter clearance finds. The letter boards are not part of the Easter clearance but she couldn’t pass these up at 70% off. Monica scored a bunch of Dollar Spot items and Jay found these nuts as part of the clearance (we haven’t seen these before). 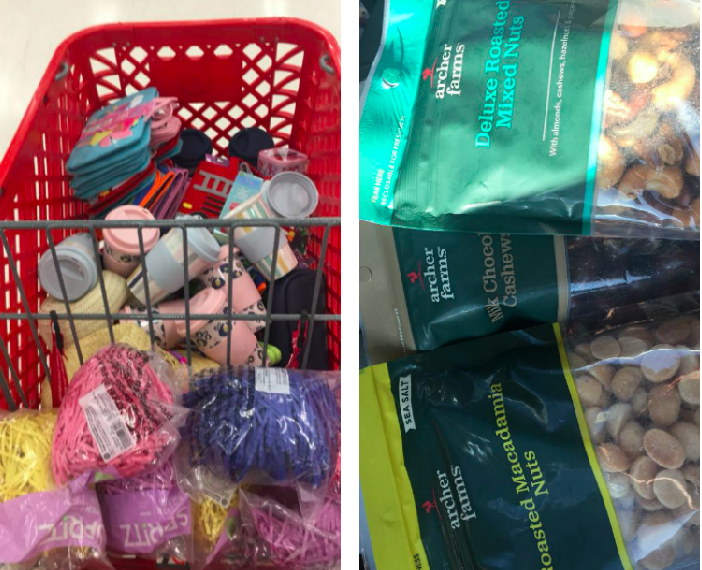 Karen scored a cart full of goodies including plastic eggs, buckets & more! Food was 70% off. 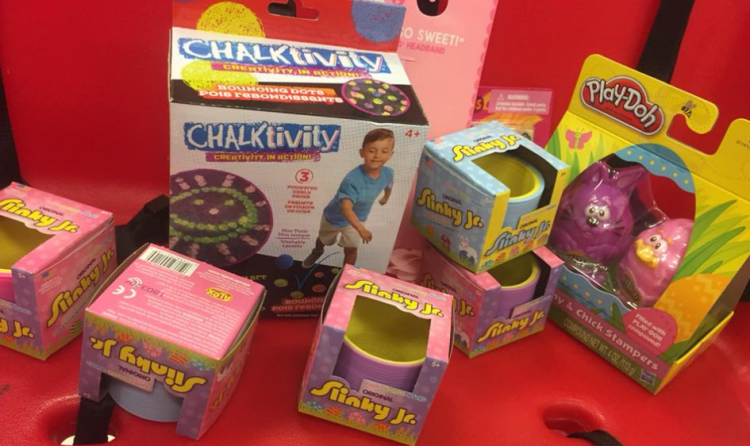 Karen also found a few toys down to 90% off in the toy section (picture below).